During training I always discuss using emergency oxygen but there are some common questions that come up, so I thought it would be useful to address them here. Any appropriately trained person can administer oxygen in an emergency to a critically unwell person. How much oxygen do we give? 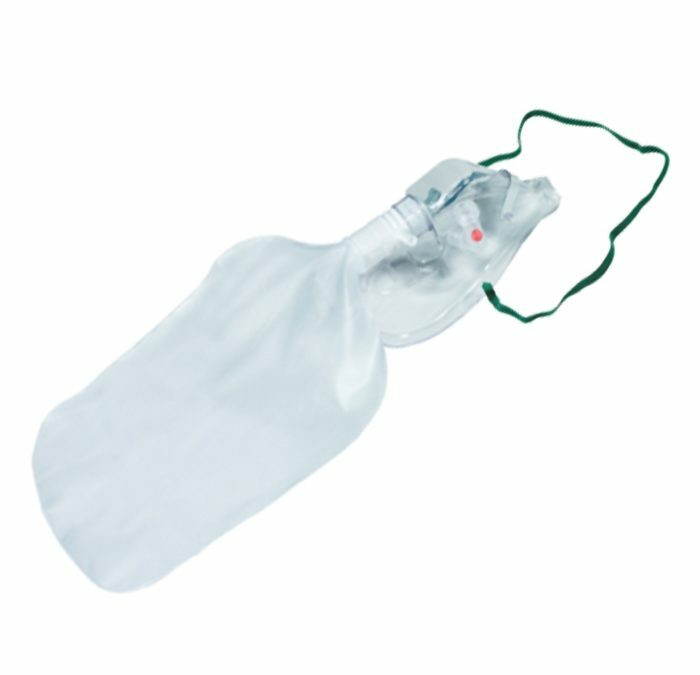 When using a non-rebreath mask (as in the picture above) a flow rate of 15 l/min is required in order for the valves to be effective and it then adminsters 85% oxygen. If you need to give oxygen, and this is the only mask you have, but your casualty does not need 85% you could put the mask around their neck rather than over their face. This will enrich the air they are breathing but will reduce the amount of oxygen you are giving. How do we know how much they need? I recommend that as part of your emergency kit you have a finger pulse oximeter. This enables the measurement of their oxygen saturations. 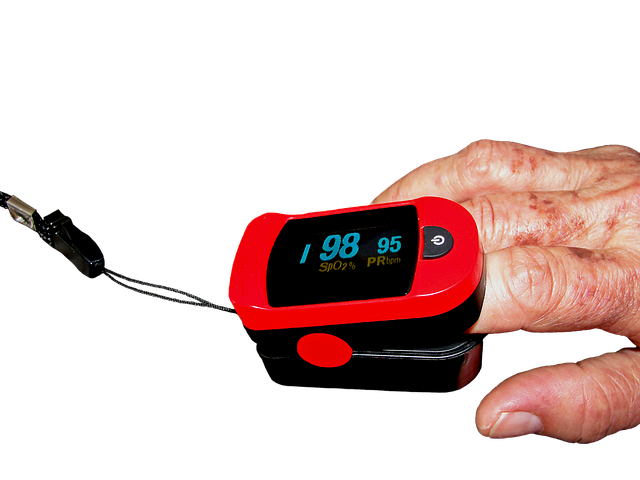 A finger pulse oximeter is pegged onto the finger tip. It provides 2 numbers as standard, one is the pulse and the other is the measurement of the oxygen levels given as a percentage. We aim when adminstering oxygen to maintain the oxygen levels above 94%. Is there a time not to give oxygen? In a healthy person with no history of lung disease I would expect oxygen saturations to be 98% or more. In someone who is unwell generally the aim is 94% or above. If someone is suspected of having a heart attack it is important not to give excessive oxygen that they do not require (Stub D, Smith K, Bernard S, et al. Air Versus Oxygen in ST-Segment-Elevation Myocardial Infarction. Circulation 2015;131:2143-50). In this situation I recommend measuring oxygen saturations prior to adminstering oxygen and only give it if their levels are below 94% whilst breathing air. In people with a history of Chronic Obstructive Pulmonary Disease (COPD) the aim is for their saturations to be between 88% and 92%, so they only need oxygen if their levels are below 88%. What if you can’t measure their oxygen levels? If your casualty looks critically unwell, looks grey or blue lipped and either you don’t have a pulse oximeter or it isn’t working then I recommend adminsitering oxygen whilst waiting for your emergecy ambulance to arrive. The finger pulse oximeters require a reasonable circulation in the finger in order to work so if the blood pressure is very low it may not work. I hope you found this blog useful if you have any questions please don’t hesitate to get in touch.